This box is crafted from apple tree. 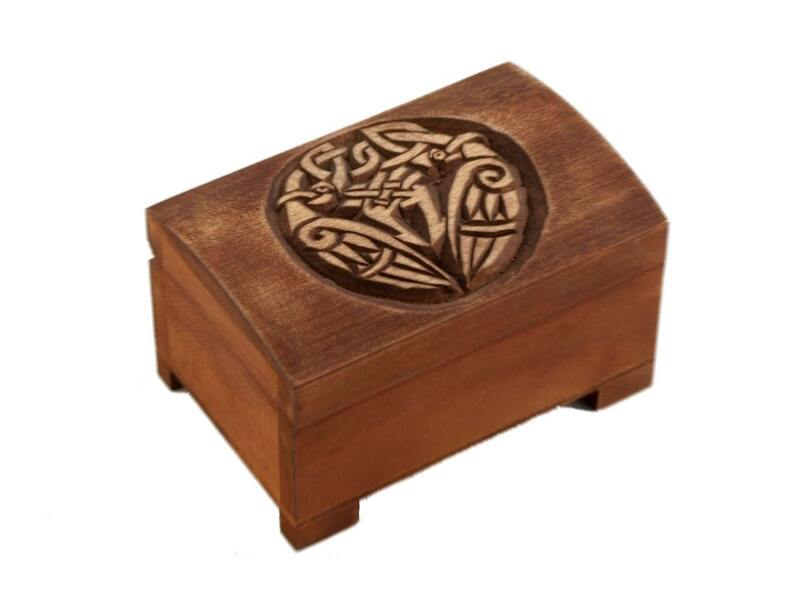 The lid has hand carved celtic birdspattern. IX century replica. If you want anoter pattern, or larger quantities of one of our product, please contact us.